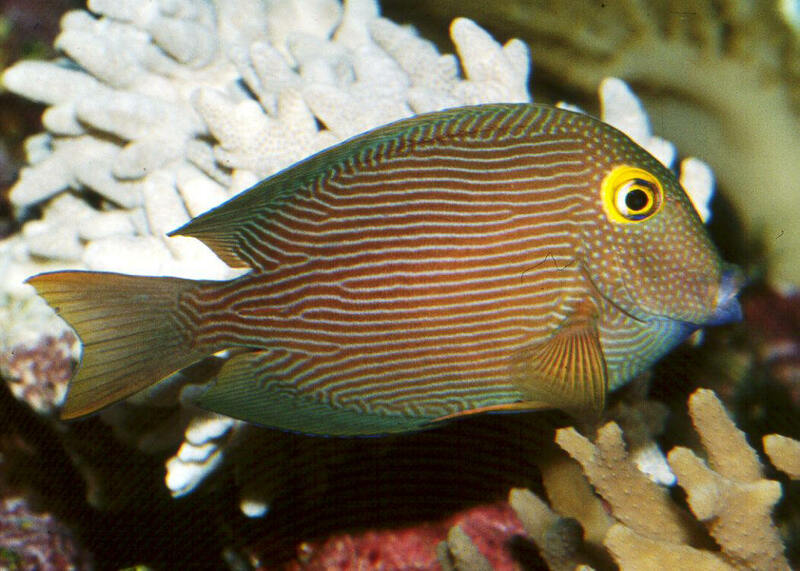 Ctenochaetus hawaiiensis (Chevron Tang); All Ctenochaetus species change color with age but the chevron is most striking. Ctenochaetus hawaiiensis young are unforgettable; bold orange bodied covered with variegated lines of electric blue. Adults shift to a deeper orange red base covered with darkish blue uneven horizontal lines, ultimately to almost black. 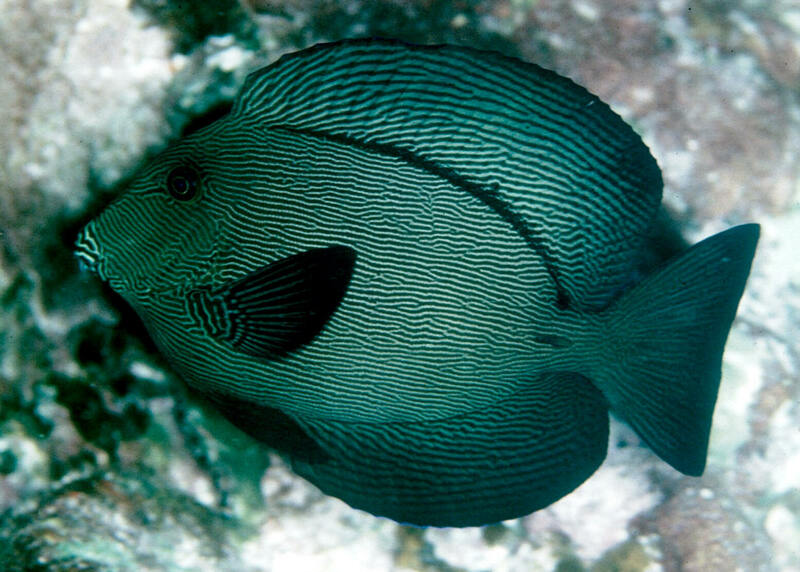 A six inch adult off of Kailua-Kona, Hawai'i. 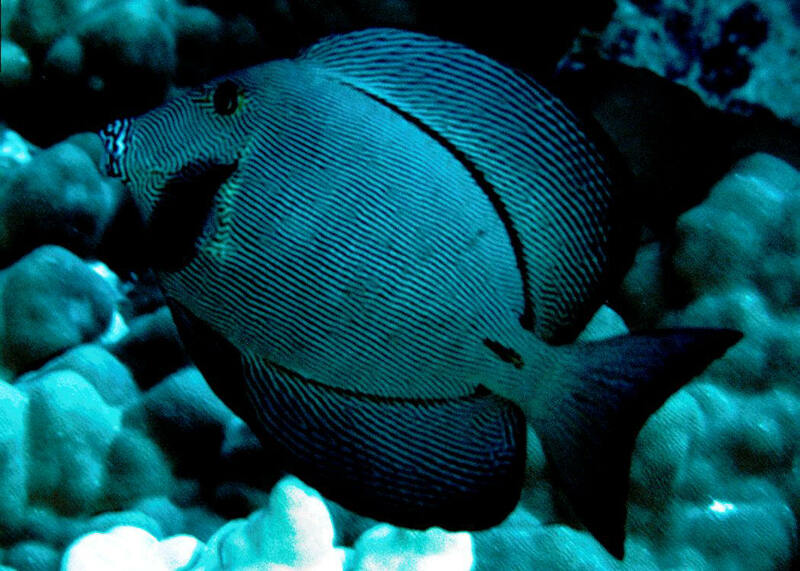 Ctenochaetus hawaiiensis (Chevron Tang); All Ctenochaetus species change color with age but the chevron is most striking. Ctenochaetus hawaiiensis young are unforgettable; bold orange bodied covered with variegated lines of electric blue. Adults shift to a deeper orange red base covered with darkish blue uneven horizontal lines, ultimately to almost black. An old, seven inch adult off of Kailua-Kona, Hawai'i. 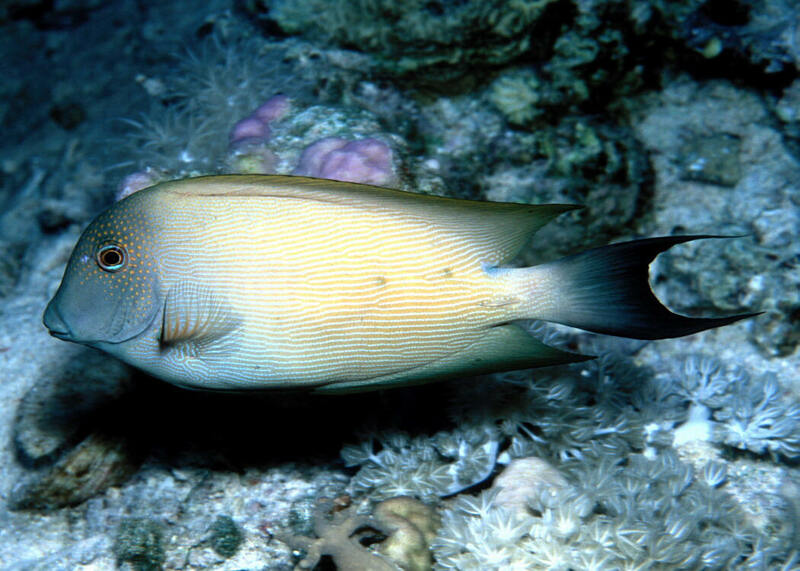 Ctenochaetus strigosus Bennett 1828, the Yellow-eyed or Kole Tang; since this and the Chevron Tangs range encompass the principal islands of Hawaii they are the principal species utilized in the West. The Kole ("coal-ay") is more shallow water, surface to sixty feet or so, and the chevron is generally collected in fifty feet plus. At right: in an aquarium. Aq. pic.